ConvertXtoDVD is a one-click video conversion solution to convert and burn your videos to a compatible DVD, playable on your home DVD player. It works for NTSC and PAL video formats and allows to convert Avi to DVD, DivX to DVD, WMV to DVD, RM to DVD, YouTube to DVD etc…and burn automatically to DVD after video conversion. ConvertXtoDVD supports the most popular types of video and subtitles file such as DivX, Xvid, MPEG4, MOV, AVI, WMV, WMV HD, DV...and also support audio formats such as AC3, DTS, PCM, OGG, MP3, and more.... It converts your files into a compliant DVD Video set of files and burns it on a DVD media. 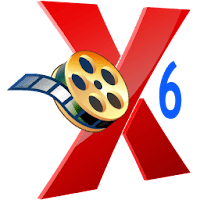 Disclaimer: Direct downloads for the lastest version of ConvertXtoDVD 7.0.0.40 are provided by the official software's author, we can't guarantee safety, availability or download speed. Moreover, we don't and we won't provide any pirated/illegal versions or tools. We recommend you to avoid it as these methods can harm your device. If you like the software, buy it to support the developers. (We provide software discounts for many worldwide brands).